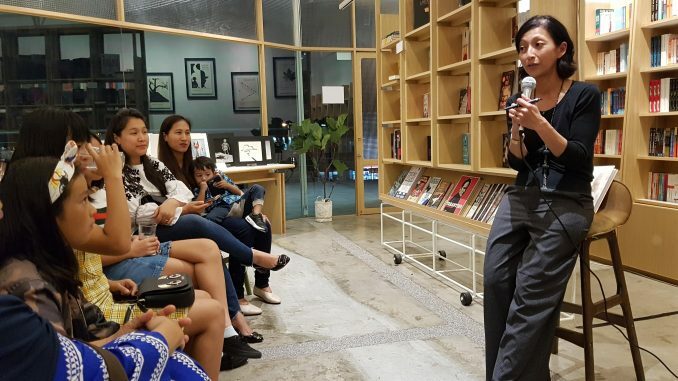 On Friday, Aug 3, we had the pleasure of hosting Zaheera Hashim, a Singapore-based artist and writer, for a meet-and-greet at Lit Books. 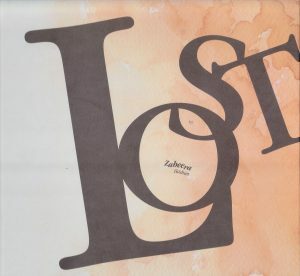 She was in town to promote her debut graphic novella called Lost, which comprises vignettes on the the theme of loss. Accompanying the text is Zaheera’s soulful artworks. Min Hun had a Q&A with her, an edited version of which is reproduced below. Min Hun: Tell us about your book. Zaheera: This book has taken me almost a decade to complete. It’s not that it took 10 years to write but 10 years to put together. The writing and the paintings have been done in stages, in different periods. Life has got ups and downs, and I started writing when I was in the down period… At the end of the day it’s a compilation of a lot of things that happened in my life. Lost is about two boys. The inspiration is my two boys who are the centre of my world really, but they’re also the centre of a lot of angst and stress — so a lot of material for a book. The pictures were independently created but they also accompany the words, the stories, because not everything can be explained in words. It’s about two of them losing each other and finding each other again. It’s about healing. One thing I would say when I read the book is there is a very distinct sense that it’s autobiographical. I know you mentioned your two children and how they were your inspiration but what about the particulars of the stories? Every chapter has a bit of me in it… in that way it’s autobiographical. Is this book something you view as a work of catharsis? Catharsis is a bit of a strong word. It’s more of a healing, an acceptance maybe. A lot of times we go through things that we don’t understand, and this was the time I finally understood some of the things that happened and put them together. So, perhaps, yes, in a way it was quite cathartic. The story is about a lost sibling and there’s also an old uncle who loses his soulmate in a fire. There’s a lot of tragedy and grief. You address the theme of loss from several directions. Why does this theme interest you so much? I think it’s a universal theme. A lot of people have lost someone or something. for me, it’s also the loss of time, the loss of opportunity that bothers me a lot. And the fragility of life, how you have someone one day and then not, the next. And you don’t really know what you’ve lost until it’s gone. It’s clichéd but it’s the truth. I wouldn’t call it a cliché. I think you’re carrying on that tradition of loss and loneliness that’s so prevalent in works of literature. What inspires you in terms of literature? The Little Prince is one of my favourites and I used to read it to my sons chapter by chapter every night. The theme there that resonated with me from beginning to end is how things are not always as they seem — the fox, the rose in the jar. One artwork in the book that struck me is the Schubert — it features a painting of a clockwork doll grieving on a piece of sheet music. Tell us about this piece. That piece is a song about Gretchen at the spinning wheel, spinning and spinning for her lover to come back but he doesn’t come back…. And in that chapter, it’s about waiting for the son who never comes back. It portrays that longing and sadness. One thing about the book is the typesetting is not done in the traditional way where it’s just a block of text. There’s ornamentation in the text itself. The first time I read it I thought it was a bit distracting but once you get used to it, you realise it plays a particular function. Can you explain to us the thought process behind this? I have to admit it wasn’t my idea. I worked with a friend who’s a book designer. At the end of the day I had to decide whether it was a literary work or an artwork. I decided it was going to be an artwork so it might as well look like art even in the text. He had this idea of using typographical styles to bring out certain words and certain parts of the book. There’s one chapter where some of the words are actually right at the edge of the page. My printer saw this and thought it was an error and asked me if I wanted to move it in. I told them to just leave it because that’s meant to be — the words have actually fallen off the page. The story was about the one who’s lost from his mother’s view, so it’s intentional. When his older brother, Alif, abruptly leaves home and never returns, Sol is left to watch his mother withdraw into a world he can no longer enter. As they search for each other in their respective worlds, they reminisce their common past, eventually comprehending the reality of what they’ve lost. One story unfolds after another and they finally meet… or do they?